Anti-woman suffrage poster that reads, "Danger! 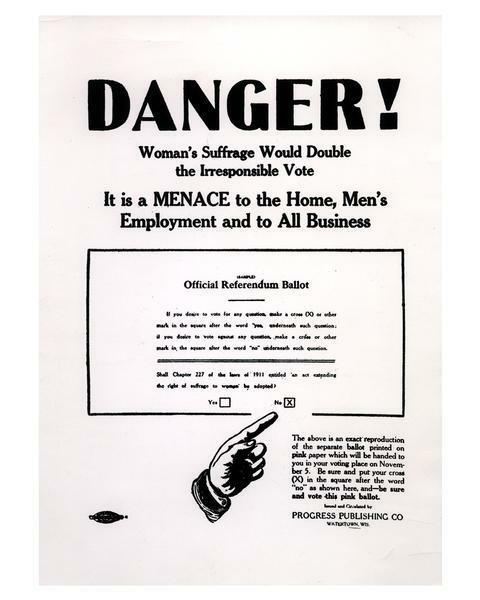 Women's Suffrage would double the irresponsible vote! It is a menace to the Home, Men's Employment and All Business!" Poster issued by Progress Publishing Company of Watertown, Wisconsin. Ca. 1912.